South Jakarta Government targets to reach Rp 8.4 trillion for local retribution and tax revenue this year.
" We are optimistic to reach target in 2018 though it is increased by 25 percent"
That target increases by 25 percent than last year's target. 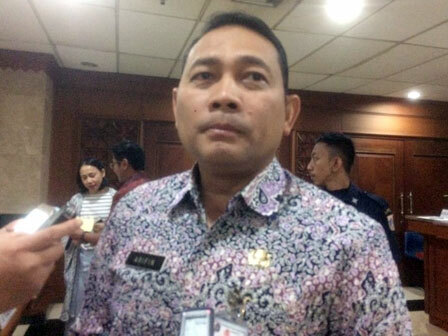 South Jakarta Vice Mayor, Arifin said, taxpayers in his region is quite obedient in paying taxes. It is proven that his side reached local retribution and tax revenue target in 2017. "Our target is quite high for tax and retribution. I convey my gratitude for taxpayers in South Jakarta since they are law-abiding taxpayers," he conveyed, Thursday (4/19). He is optimistic to reach Rp 8.4 trillion for this year's target on local retribution and tax revenue. Considering his side could reach 102.73 percent from retribution and tax revenue target of Rp 6.5 trillion last year. "We are optimistic to reach target in 2018 though it is increased by 25 percent. All thanks to the obedience of taxpayers," he stated. He added, tax revenue also contributes in Jakarta development. His side mentioned, the highest tax are received from PBB, BPHTB, restaurant tax, and hotel tax. "We hope we can build a better Jakarta in the future together wit h law-abiding taxpayers," he affirmed.